If you are enjoying the French Way as a winter adventure then you might enjoy sharing in some special camino fun in Samos at the historic monastery which was founded in the sixth century by Benedictine Monks. You can take part in discovering the Gastronomy in the Camino and learn more about the traditional customs that are still alive and celebrated today. 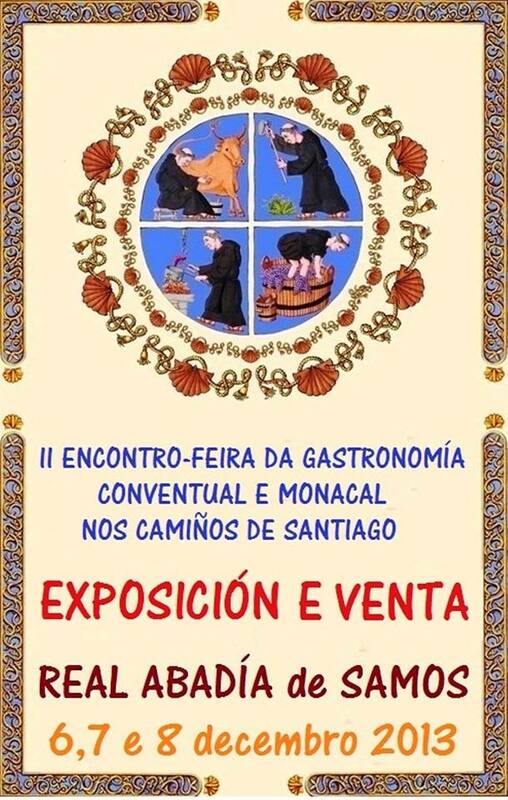 This three day event takes place December 6 – 8, 2013 and you are sure to discover, taste and enjoy some unique Galician Gastronomy TREASURES! We hope you will join us! This entry was posted in Camino Travel Tips and tagged architecture, camino, celebration, culture, Gastronomy, history, The Way, traditions, wine. Bookmark the permalink.